Legal Services Outsourcing: India's next growth market? We're really excited to announce that respected business services analyst, Jui Narendran, has joined the fulltime HfS team as Research Director, based out of Pune, India. Jui's been a good friend of HfS for a couple of year's now, having worked on several research projects with us... but that still didn't discourage her from joining our rumbustious rabble of research reprobates. 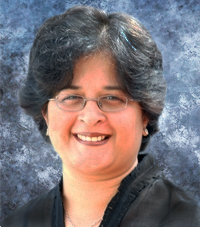 Prior to joining HfS, Jui headed the outsourcing research team at ValueNotes, a boutique research firm in India, leading several custom engagements and also worked on creating thought leadership research in the BPO and KPO domains. Jui has also worked for advisory organization TPI, where she led the offshore research team, which supported the consulting team with real time research and insights into the client industry and business issues. Additionally, she has worked for service providers Accenture and TCS. Jui brings a deep knowledge of the business services domain and will be focusing on several specific areas of BPO, namely the retail industry, KPO and legal services outsourcing. And when she's not cranking out content for HfS, she is spending much of her spare time honing her new found talent for oil painting... but before we start airing her fledgling masterpieces, let's hear about her recent analysis of the legal services outsourcing market. We've been doing some funky math over at the HfS data factory, and we've estimated that corporates splurge at least $1 trillion a year on legal services, which includes their internal General Counsels and their lawfirm partners. We've been keeping tabs on this space for a few years now and we believe the time is ripe for this market to really start kicking into gear. » In 2009, Microsoft engaged with Integreon, one of the larger pure play LPO services providers to provide exclusive e-discovery and document review services. The contract was subsequently extended to include contract review services. » Also in 2009, Rio Tinto signed up with CPA Global, another large legal services provider, to provide contract review and drafting, legal research, and document review services. The engagement is also geared to expand to additional services. » Pinsent Masons, a leading UK based law firm, signed up with South Africa based LPO firm, Exigent in 2009 to provide initial data review and e-disclosure services. » Clifford Chance, a UK based law firm and member of the “Magic Circle”, procures legal support work from its shared services center in Gurgaon, India. » Nixon Peabody, a Global 100 law firm outsourced its e-discovery review work to Pangea3, an LPO and a part of Thomson Reuters. To learn more about why we believe Legal Services Outsourcing is poised for significant growth you can click here to access Jui's new RapidInsight "The Exciting Evolution of LPO" at the BPO Resource Center (for a limited time only). Jui Narendran (pictured above) is Research Director, Business Process and KPO Services, HfS Research. You can access her bio here and email her at jui @ hfsresearch dot com. India neemt juridische dienstverlening over | Juridische AdviesGroep.nl | Goed en goedkoop juridisch advies!